The Concord Golf Club can trace its history back more than 120 years. It began as the Sydney Golf Club in 1893 and established a course on the ‘home paddock’ of Eadith Walker’s Yaralla estate, at the corner of The Drive and Concord Road, Concord West. 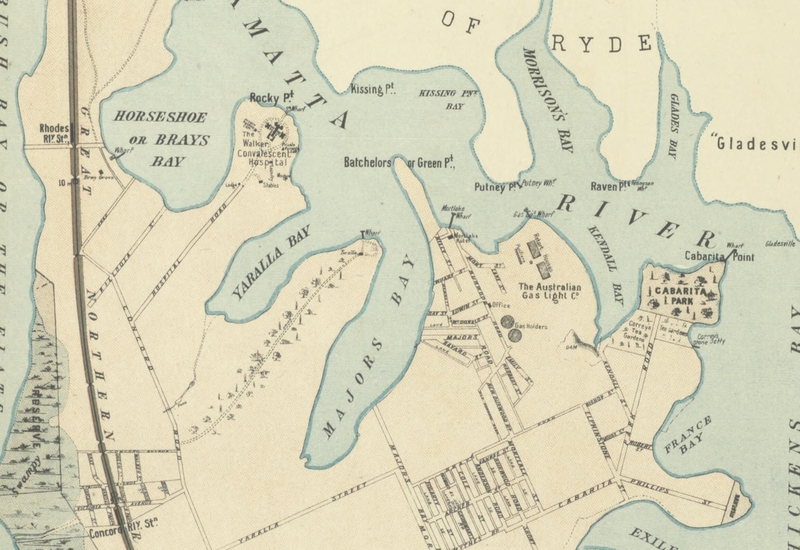 This site was abandoned in 1898 but in the following year the Concord Golf Club was formed and a course established on the western side of the railway line, extending to Homebush Bay. In 1905 Concord and Strathfield Golf Clubs combined to form the Concord Golf Links Limited with the purpose of purchasing 46 hectares, known as the Police Paddock from the Estate of the late Thomas Walker. This, together with 12 hectares leased from Eadith Walker, formed the nucleus of the present Concord Golf Course. 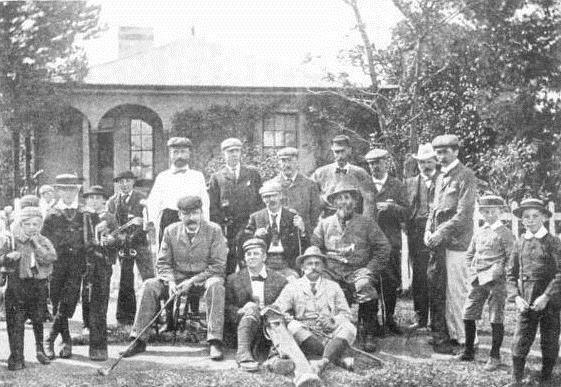 The photograph shows members of the Strathfield Golf Club in 1898, playing at the original Yaralla course. The Lodge at the entrance to the estate, which can be seen in the background, was used as a club house. 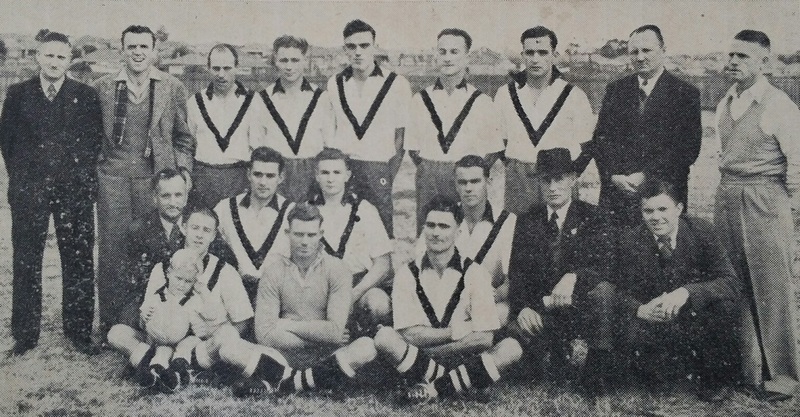 Thomas Frizell, seated at the far left, and Alex Orr, standing at the far right, both served as club presidents. Queen Elizabeth Park was given its name 60 years ago this week. 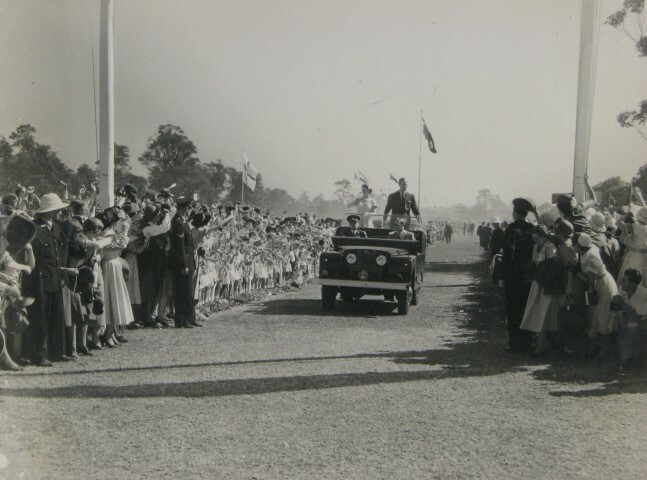 During the 1954 Royal Visit of Australia, Queen Elizabeth and Prince Philip were greeted by 30,000 school children at Concord Park before going on to visit Concord Repatriation General Hospital. 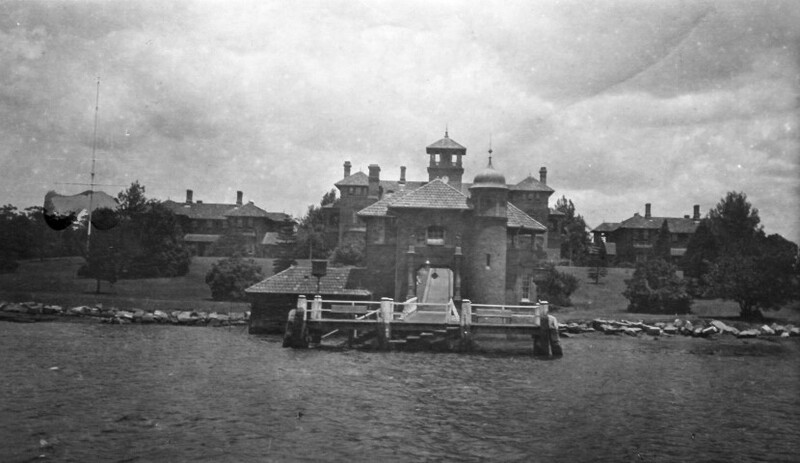 Concord Park had been reserved for public use in 1887. In 1957 it was decided that Concord Park be renamed as Queen Elizabeth Park in honour of the royal visit to Concord. 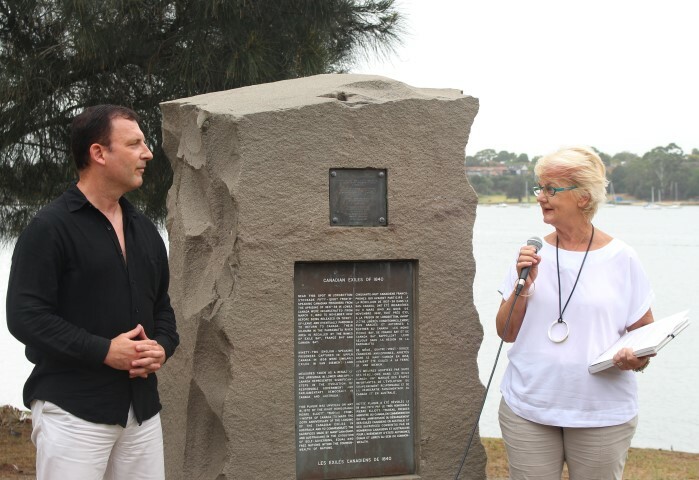 Queen Elizabeth Park was officially renamed by Lieutenant-General Sir John Northcott, Governor of NSW on 24 May 1957 to coincide with Empire Day as it was then known. In an echo of the Queen’s visit some 1,500 children from local schools were given a half-day holiday to welcome the Governor. This year marks the 75th anniversary of several significant events of the Second World War. 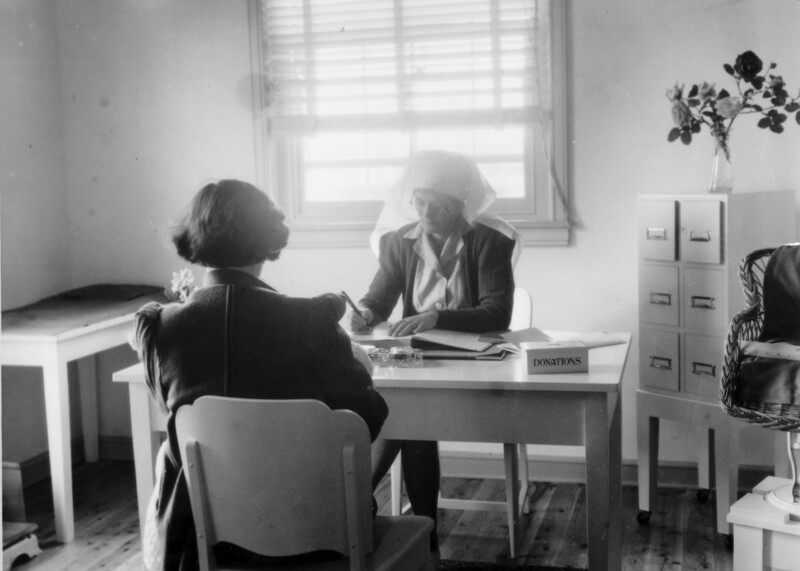 The impact of the Second World War on the local community in Canada Bay is, in many ways, a reflection of the experience of Australia at that time. It was an ‘all-in’ war, placing extraordinary demands on everyone. Parts of the local area became training grounds for Australian and American soldiers, while local industries were geared to war production, producing everything from ships (and the paint to paint them with) to ration packs for soldiers. It was a time of long hours and hard work. The war affected the lives of every man, woman and child in the community. To coincide with Australian Heritage Festival, the Local Studies Librarian will be speaking on the involvement of industries and people of our area during the Second World War at the City of Canada Bay Museum, 1 Bent Street, Concord on Saturday, 6 May at 1.30pm for 2pm start. 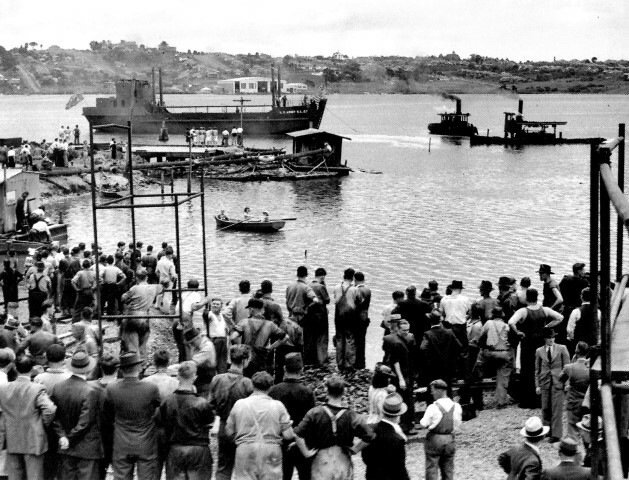 The photograph shows the launch of a ship at Brays Bay built by Tulloch during the Second World War. In 1927 the HMS Renown conveyed Prince Albert, Duke of York (later King George VI) and Elizabeth, Duchess of York (later best known as The Queen Mother) to Australia for the official opening of the new Parliament House in Canberra. From 1901 until 1927 the Australian parliament had met in Melbourne where it had used the Victorian Parliament House building before the move to Canberra. 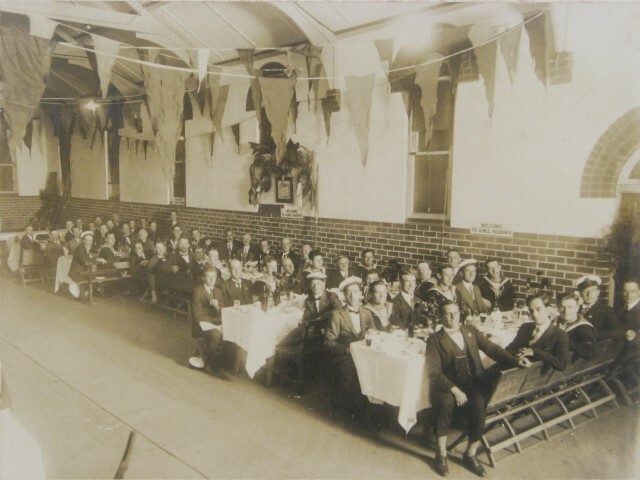 While the HMS Renown was in Sydney the Concord Ex Service Men’s Social Club (RSL) hosted a ‘Smoke Social and Dinner’ for officers and ratings of HMS Renown on the 11 April 1927. It was an opportunity for the local RSL to return the hospitality shown to many Australian servicemen on leave in London during the First World War. The dinner included songs and recitations. 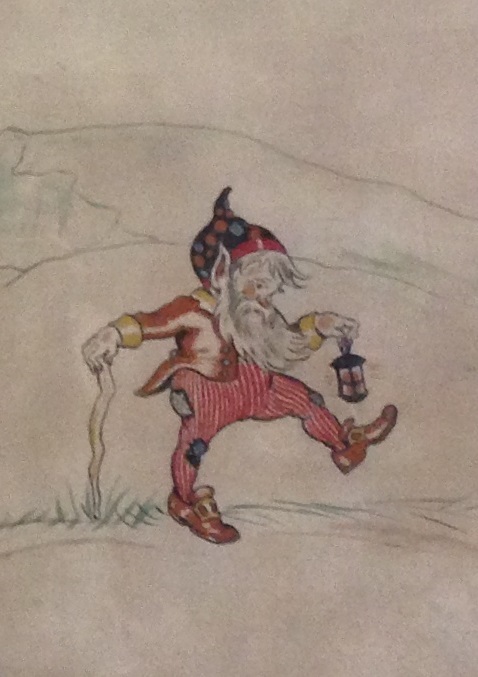 Among the performers was George McGregor Shaw, Town Clerk of Concord, a man of many talents (see comments below) including a gift for singing. Eadith Walker of Yaralla also hosted a rifle team from the HMS Renown who competed against the Miniature Rifle Union team at the estate’s miniature rifle range.